I don't often make pictures of the broader scene preferring pieces cut out from the whole. In this case I made an exception just to give an idea of the appearance of one of my favourite spots. 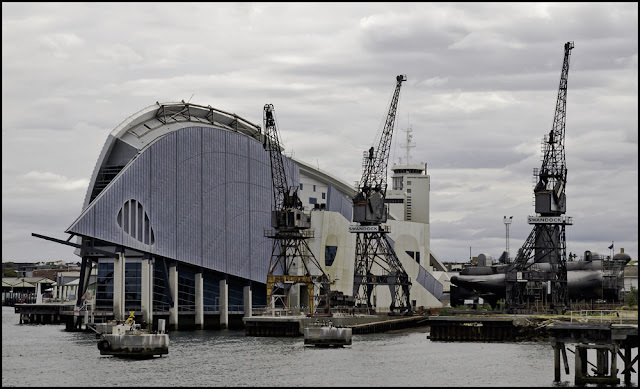 This is the Fremantle Maritime Museum shot from South Mole. There is a mixture of subjects, old and new, large and small, shining and quietly rusting. Having a background in engineering, I am a fan of industry, architecture and machinery; this place has it all! Every time I walk around here I see something new and different, nearby coffee houses add to the attraction.